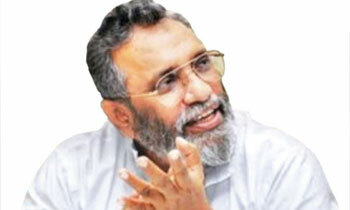 The Elections Commission was neither under obligation to issue final results of the LG polls nor was its job, Elections Commission (EC) Chairman Mahinda Deshapriya said today. He added however that a booklet would be issued on February 28 including all data, statistics and information related to the February 10 polls. He said the EC was Constitutionally mandated to issue final results only at a Referendum and Provincial Councils, Parliamentary and Presidential polls because results of any of these polls become legally valid after the declaration of the results by the EC. At an LG election, results are declared at the polling station and all voters at the village level know the election results in a few hours after the poll. Therefore, the issue of releasing final results does not arise. Mr Deshapriya told reporters yesterday that the drastic changes have to be introduced to the Local Authorities Election (Amendment) Act no. 22 of 2012 as the selection of members from two lists and nomination of 25% women members to Local Government bodies from each political party or independent group on election results had become a mess and in many instances, it was a difficult task. Commenting on the delay in releasing election results to the media on Saturday night, Mr Deshapriya said there was a computer malfunctioning at the computer unit at the Colombo University after entering wrong data. “The most progressive aspect of this poll that held under the new electoral system is the sharp drop in violence. I hope you will not say that it is not your job to hold elections? You are saying ...there was a computer malfunction after entering wrong data... Does that mean results are wrong? Lol no. Just that somebody made a mistake in entering data. he is in fantacy world after had a good drinks.he said at 8 pm start the anouncing results by ec.now he say people must write down results and calculate the total. If you're department calculations are correct then there won't be able GONPALANAYA to gets at least this much of votes.